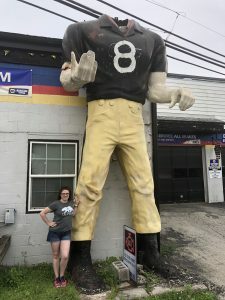 If you follow my blog at all, you know I love roadside oddities and attractions. 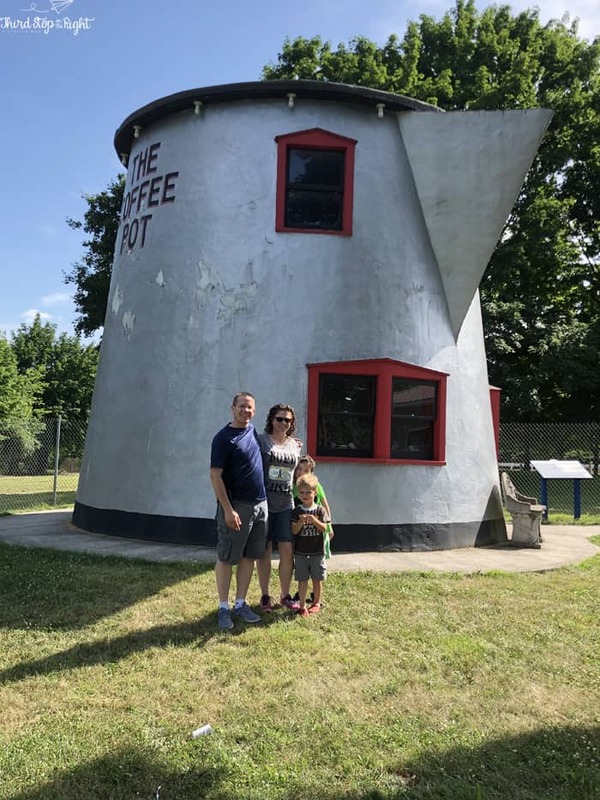 Of course, this meant that while we were on our recent road trip to Bedford we had to stop at the giant Coffee Pot located at the Bedford Fairgrounds. 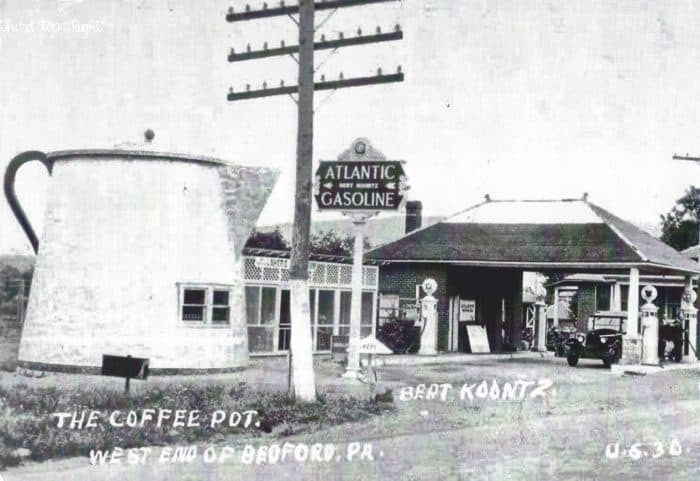 A fixture in Bedford since 1927, the Coffee Pot was built by Bert Koontz as an eyeball-grabber for his small gas station. 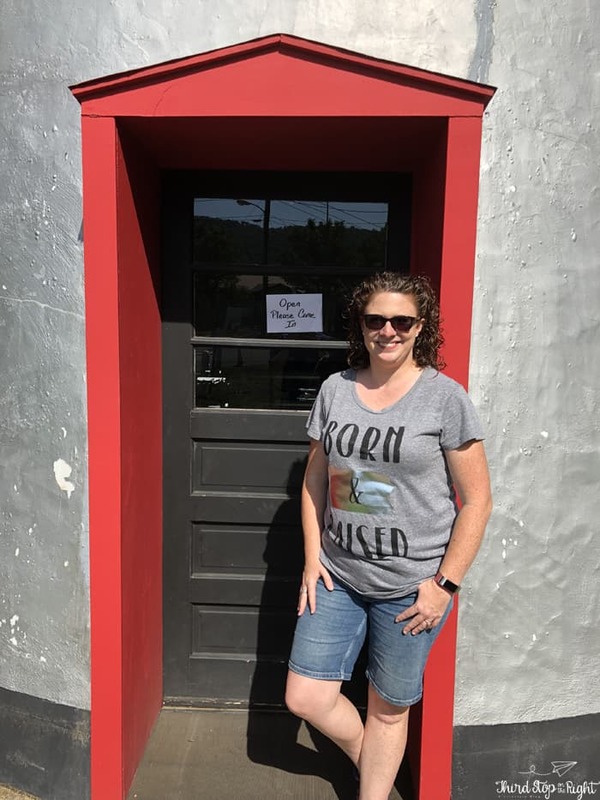 It was a place for travelers and locals alike to grab a bite to eat or simply enjoy a cup of coffee. In the late 1930s, the Coffee Pot was sold to a family who operated the Coffee Pot as a bar, offering beers, wines, and liquors. Eventually a three-story hotel was attached to the coffee pot. 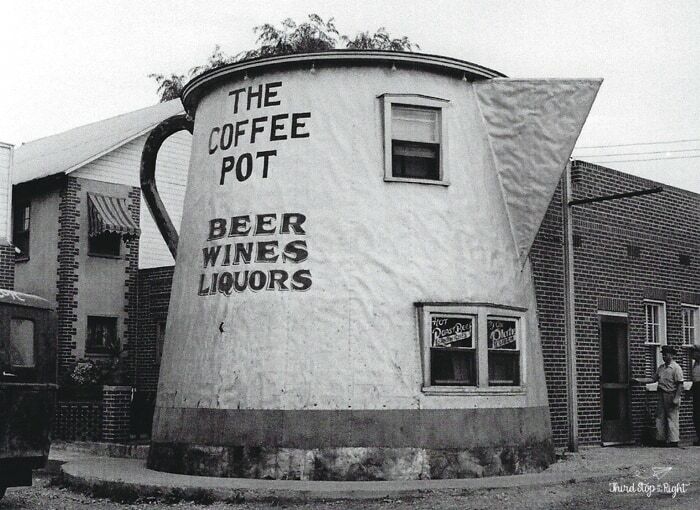 The fact that it was located next door to a Greyhound bus station, only made the Coffee Pot grow in popularity. The Coffee Pot was purchased in 1977 by the Lashley Family, but by then the Coffee Pot’s popularity was in decline. The automobile service station and truck rental business were thriving and the family no longer saw a need for the Coffee Pot. 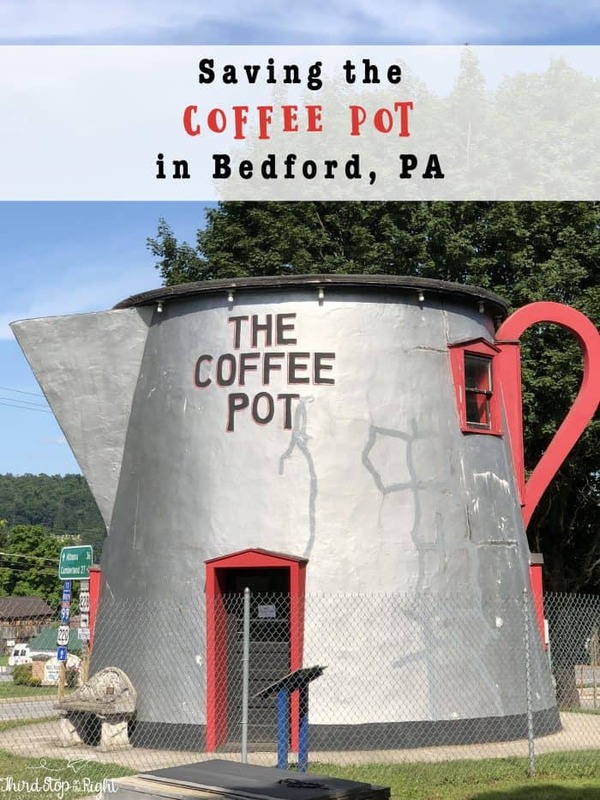 Therefore, in 2003 the Coffee Pot was donated to the Lincoln Highway Heritage Corridor on the condition that the Corridor raise the money to remove and restore it. This was no easy task, however. The floor inside the pot had collapsed, not to mention that it shared a wall with the adjacent building. The money ended up being raised though and plans were prepared for the moving of the Coffee Pot. Only a quarter mile away, the Bedford Fairgrounds (also located along the Lincoln Highway) expressed interest in having the Coffee Pot. A local mover was able to separate the decaying ways of the Coffee Pot and prepared it to move. 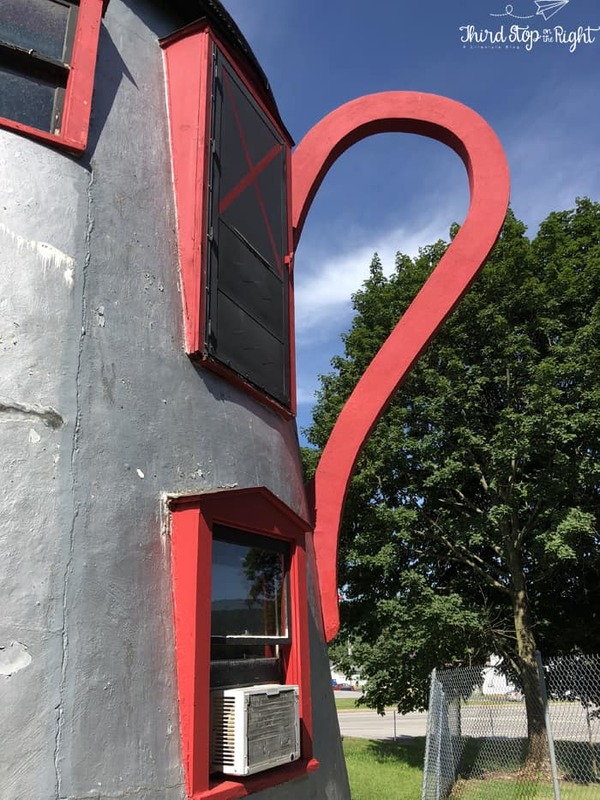 The restored Coffee Pot was dedicated in August 2004 and deeded to the fairgrounds. 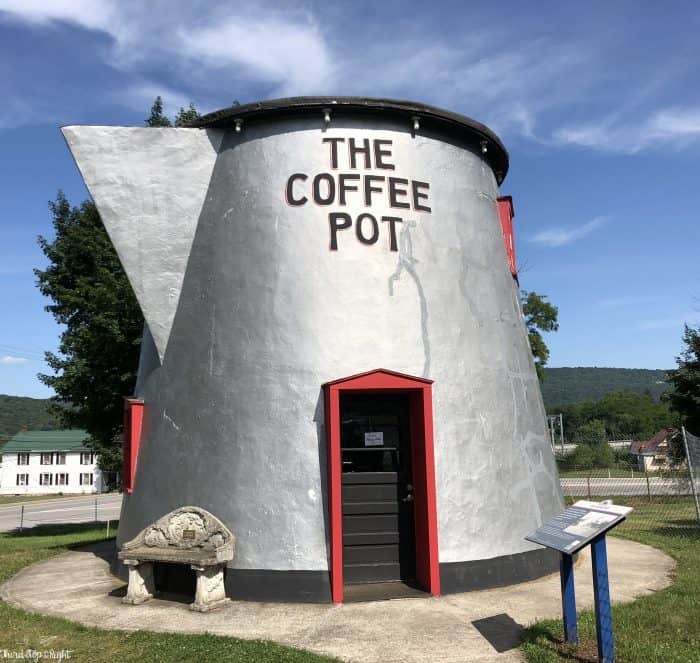 As I said, it was only natural when, over the weekend, we decided to take a road trip down the Lincoln Highway from Greensburg to Breezewood we decided to stop and take a look at the Coffee Pot. 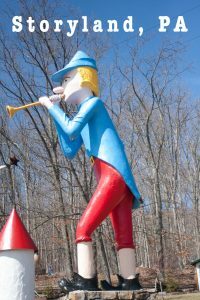 Plus, the boys love these roadside attractions and there is a lot I can teach them from it. The Coffee Pot is easy enough to find and you can see it from the road. Just pull in and you can walk right up to it. If the inside is open, you can actually go inside and check out some of the artifacts. Unfortunately, it was closed when we went. Be sure to take lots of pictures because this really is a unique attraction.